The following information and chronological table are a summary of the entries from the World War One service record of Alfred James Wine (Jnr). Born in New Zealand, he enlisted in New Zealand Army. His brother Howard Garrett Wine served in the New Zealand Army while their first cousin Albert Newton Wine served in the Australian Army . New Zealand had a similar scheme. Prepared for Margaret Anne Wine, 1st cousin (twice removed) of Alfred James and Howard Garrett Wine by Clive Mitchell-Taylor - 3 Apr 2019. Are you, or have you been an apprentice? If so, with whome, and for how long? Have you ever been convicted by the Civil Power? Have you ever been sentenced to imprisonment by the Civil power? If so, when and where? Do you now belong to any military or naval force? If so, to what corps? Have you truly stated the whole (if any) of your previous service? Have you been registered for compulsory ilitary training under the Defence Acy 1909? If so, where? Have you ever been rejected as unfit for the military or nava forces of the Crown? If so, on what grounds? Scar right leg from wound, big excavation of muscle, no detriment to [illegible] appeared. Admitted to Tidworth Hospital, Inflam. Con. Tiss. Discharged from Hospital to duty. 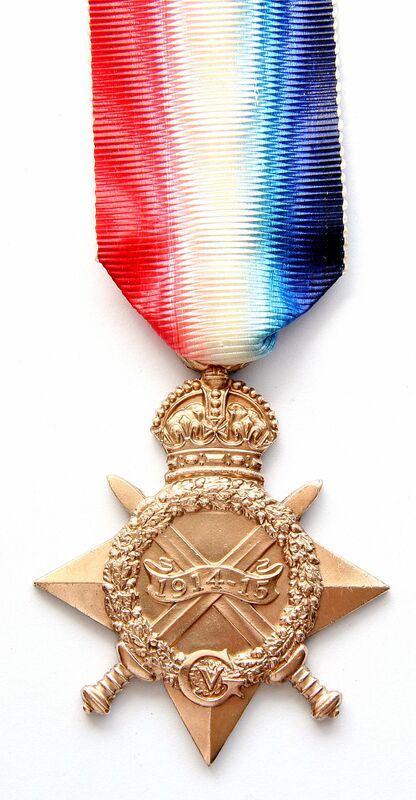 At this time the AIF in the UK was attempting to raise the 6th Australian Division, and so, on arrival in the UK he was assigned to the 63rd Battalion. As the level of casualties in France was so overwhelming, postings to the provisional 6th Div Battalions were rescinded and the new arrivals went to their original units. Base Details were working parties generally performing clean-up and maintenance work. 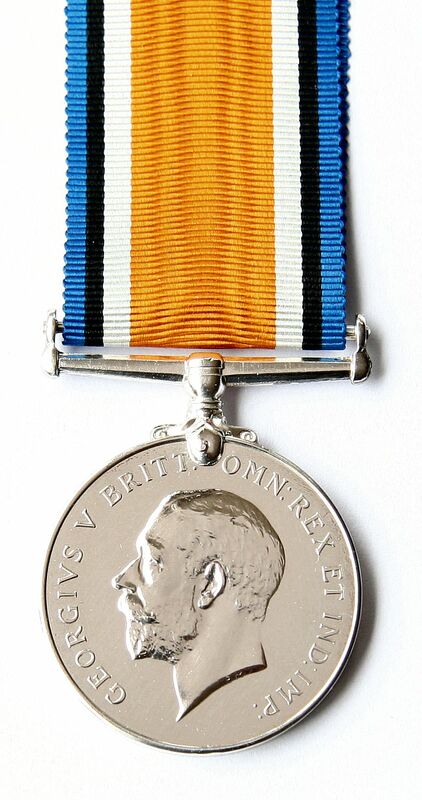 Transferred to England for permanent Base duty ex 3 ADBD, permanently unfit. 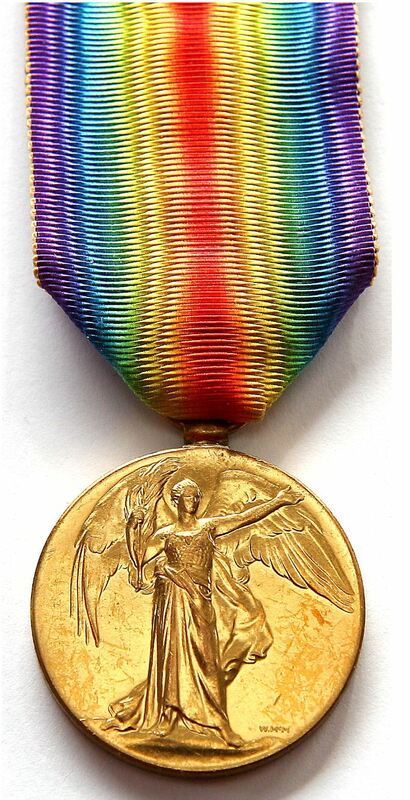 British War Medal 1914-1920 and Victory Medal. 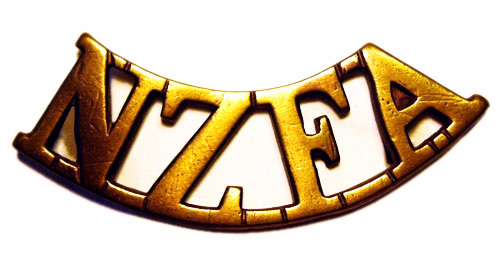 A summary of the NZEF organisation is here. I have extracted the following table for the Western Front. Concentrating on the organisation of the New Zealand Field Artillery, we can see that Gnr Wine was posted to a number of units. They include the 1st Battery and the 4th Howitzer Battery and the Ammunition Column. Shoulder badges [l to r] of the 1st, 2nd and 3rd Brigades of the New zealand Field Artillery. Cloth patches sewn on the backs of uniform jackets from October 1916 identified which unit or sub-unit an individual belonged to. 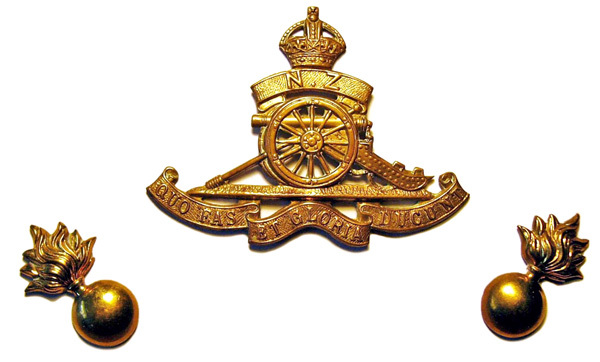 Cap and hat badge and collar badges of the New Zealand Artillery Corps.